Couples spend hours working out the menu for their wedding; it feels like a big challenge to keep everyone happy and make sure that there is something everyone likes. The first step in making this process less stressful is letting go of the thought that this is even possible. You cannot please everyone and your wedding is about you, and although you naturally want everyone to be happy and fed, you certainly don’t need to lose sleep over it! For those of you that want to use the menu as an opportunity to create something special and personal, in this post we will share some interesting and unique ways you can feed the masses on your wedding day. A BBQ can be as low key or as sophisticated as you chose to make it. Hire in caterers or if you are feeling especially brave just buy a couple of aprons for the father in laws and you can tick catering off your list! Ok, so it might be a little more complicated than that but a BBQ will still be an easier solution to feeding the masses as oppose to a 3 course sit down meal. If your wedding reception is going to be outside, you can have a good bet on good weather and you want to create a relaxed feel about the day, then a BBQ is a great idea. It is also a good option if you are on a budget! Food trucks are big business now and many specialise in high end events such as weddings. 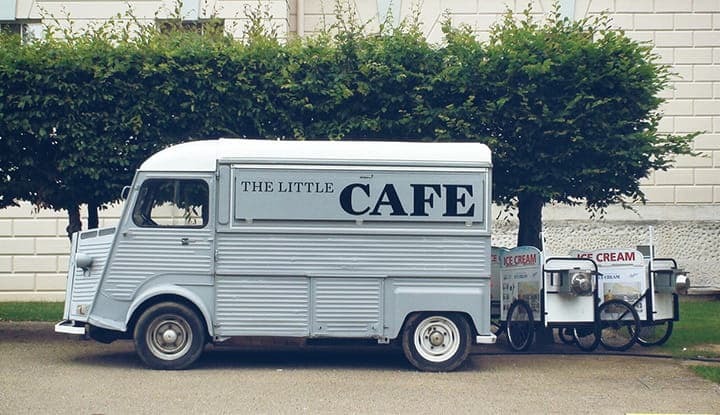 Gone are the days when the only food truck you could find was a greasy spoon on wheels that was usually only found at a car boot sale! The growth of festivals has created a growth in food trucks and they now come in a huge variety of shapes and sizes, providing a huge variety of culinary delights. Fancy an ice-cream served out of a classic car or a burrito served from a classic gypsy caravan? Food trucks could provide a unique and affordable way to feed the masses. Vintage tea is a classic British option and fits in perfectly with those who are creating their wedding around a vintage theme. With beautiful bite size treats and perfectly formed triangle sandwiches, served alongside the most British of all drinks; tea, the afternoon tea option is purely delightful. It is even more special with a glass of bubbly added to the menu! So much of what makes an incredible dining experience is more than just the taste. How a dish is presented and placed is absolutely key. 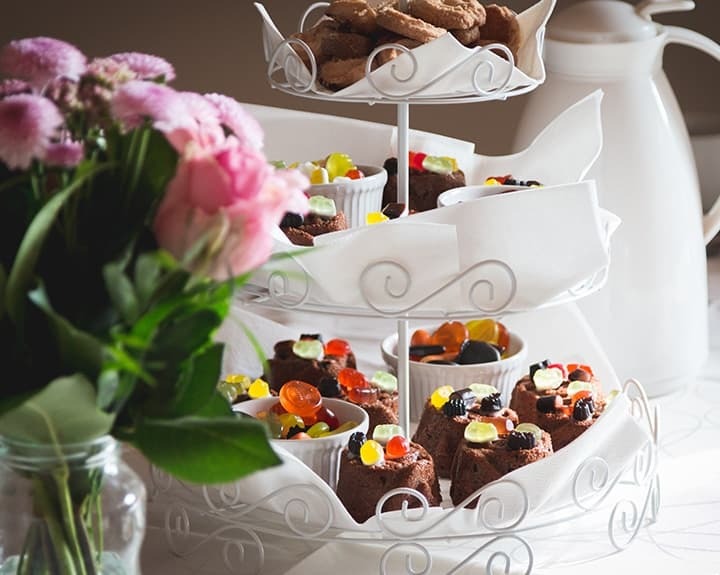 ‘Pimp your food stations’ are a fabulously unique way to serve food, create a relaxed atmosphere and additionally make sure that everyone has the option to create a dinner they actually like. Fajitas displayed with all the ingredients to add, ice cream presented with all the sprinkles to add, bakes potatoes with an array of fillings on offer, even prosecco with fruit on the side… the food stations are far more than a buffet, they are an experience. Once again, this is a great idea to give your guests some control over their food. Set up a creation station where your guests can put their own toppings on to their traditional thin crust Italian pizzas and then have them baked perfectly in a wood fired oven, just like the ones that can be found in the side streets of Venice. These beautiful, traditional pizzas are delicious and the smell is almost as delicious as the taste. When all your guests are fed there is no better way to burn off those extra calories than a boogie on the dance floor. For professional and equipped DJ’s in your area, contact us today.